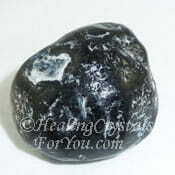 Black Diopside makes a good connection to the earth, and vibrates strongly within the base and earth chakras, and is an excellent spiritual grounding stone. 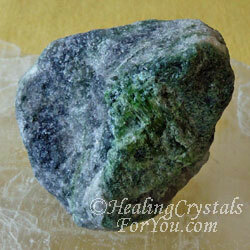 This stones energy may help to balance your aura and absorb a greater level of light energy within your etheric body. This earth contact aids you to connect with the elemental beings. This may change how you feel and act towards the earth, once you appreciate the sacredness of life on our planet. Deposits of this various colors of this stone has been found in a large number of locations, including Sweden, Germany, Russia, China, India, Canada and the USA. The name Diopside relates to a Greek word that means view and double, relating to how the prism of the stone may be orientated. Most people are most familiar with Green Diopside, as the green colored stone is commonly used for healing and metaphysical applications. 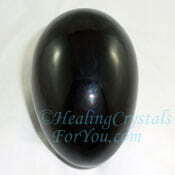 The black variety of this stone has a number of powerful attributes. 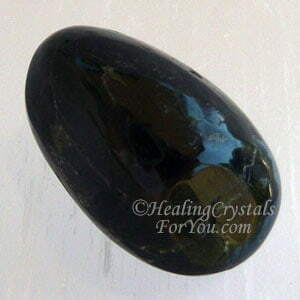 While the stone is labeled black it may also be very dark greenish black, grey or brown. 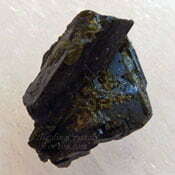 It is quite common for the black variety to occur in combination with the green Diopside mineral. 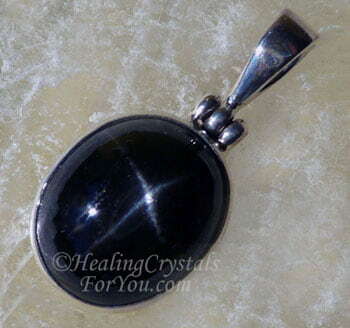 The black variety also occurs with a clearly seen star in the stone, and this is known as Black Star Diopside. Why Would You Use Black Diopside? 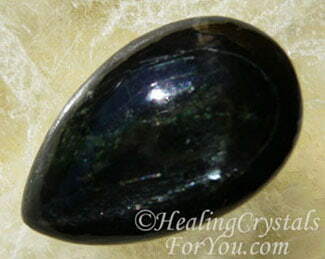 Black Diopside makes a strong connection down via the base chakra to the earth star chakra. 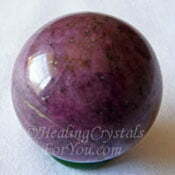 That means that it is an excellent stone for you to use if you do dowsing. It may make you feel more passionate about doing all you are able to do, to treat the earth differently. This connection may teach you the sacredness of the planet on which you live. 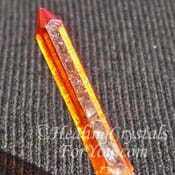 They are strong base chakra and earth star chakra stones, with an excellent ability to aid you with spiritual grounding. 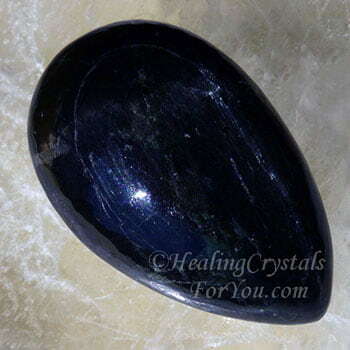 It is possible to buy Black Diopside, and the black colored crystal are helpful stones to own. You may find that you make a different type of connection to both the animal and plant kingdom as you recognize the sacredness of all life. As you make a connection with the energy of the earth, you may find that your values and ideals regarding earth changes. As you make an earth connection, you have the potential to balance your aura. This helps to bring through the full spectrum of light energy into your etheric body, as they are excellent spiritual grounding stones. Black Star Diopside has these little stars in the stone, because as they were forming there was tiny slivers of magnetite also present in the molten stone. These tiny slivers align in such a way to form these stars known as asterism. These stars are always four rays rather than six rays found in star sapphires. 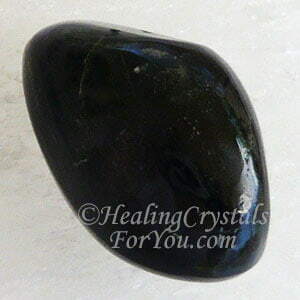 Black Star Diopside has a strong grounding and healing energy. 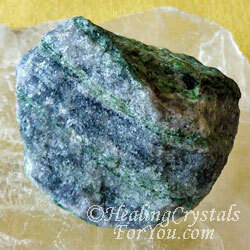 It helps to ground you to the earth, and is a useful stone for anyone who is interested in earth healing. 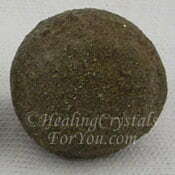 It is also a good healing stone, especially useful for spinal problems, as well as aiding issues in the intestines. They are useful to use if you feel discontented and have a need try something different in your life. It may also help to boost creativity with a practical approach to your work. 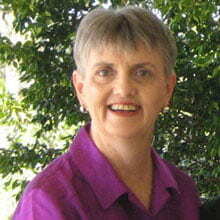 It may help you to let go of fear, especially issues that related to events that may have happened in childhood. 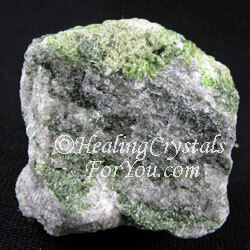 The Black variety of this crystal can be combined with the Green Diopside stone. 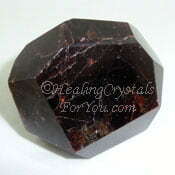 It may be available to buy in one stone, or use the two different colored stones together. 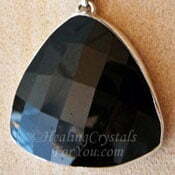 Jet pendants make good jewelry, as they will build up an electrical charge when worn against the skin. 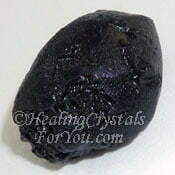 It will combine well with other earth star chakra stones, including Jet, Ilvaite, Black Tourmaline, Tibetan Tektite, Apache Tears, Black Obsidian and Boji Stones. 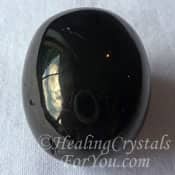 The black or mixed colored stones may help you if you are working with any of the high vibration, strong crystal energy stones, because it has an excellent vibration to aid you with spiritually grounding. 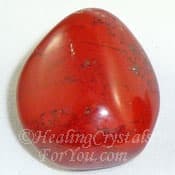 It also is excellent to use it with base chakra stones, especially stones such as Red Garnet, Rubies, Red Jasper and Zincite.